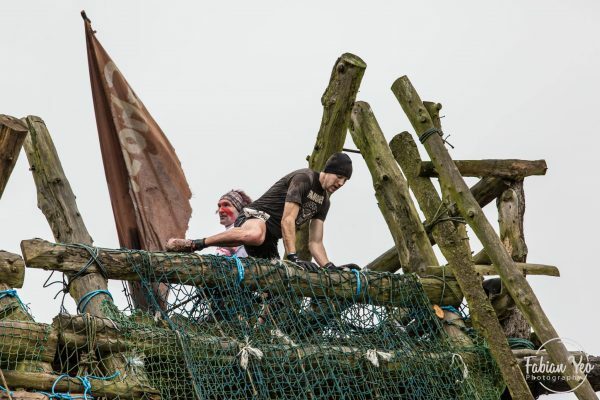 There are many forms obstacle racing now, shaped by different business strategies and strategically branded to suite, they are all fighting for their place in the market. There is one race though that sits in its own bracket, one with humble beginnings that has more evolved over time, it has grown and changed, morphing into something unique and largely unreplicable. I am of course talking about Tough Guy. Tough Guy was started 30 years ago, over 20 years before the next obstacle racing brand would be conceived. I’m not sure what the event looked like back then and if the feelings it brings out in people today were planned but Tough Guy does just that better than any event I have ever seen. It removes the layers away from people revealing who they truly are and this in turn brings out many emotions and a great realisation…either that or it just makes you f**king cold. 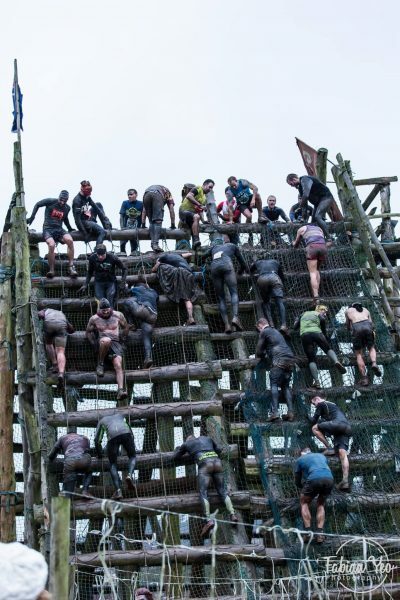 This would be my third Tough Guy but the course has been tweaked and changed every time. This time it would be more drastically different with the initial half ran in the opposite direction and the addition of new obstacles including about 100 new ditches in the killing fields. The race seems to come in sections. Each affects you in a different way breaking you down either physically or mentally. There is mainly running to begin with but it is by no means a stroll in the park. Things like continues hill repeats, weaving through a brambly wood full of nets and hurdles or slaloming through a ditch 20 times sap the energy from your legs. This section, although called ‘the cross country run’ has more obstacles than many other races have in their entirety. It is however, once this section is over, that the fun begins. At around the 10km mark (of 15) you enter the killing fields. Here you won’t be running more than 20m without being slowed by time consuming obstacle. There are big structures, rope traverses, crawls, electricity wires, hundreds of ditches and even obstacles like hang tough (with tyres) but the ones that hurt the most are the water obstacles. A mixture of swimming, wading, high jumps, and even sections of forced head under water leave you psychologically broken and cold. The lack of running sections doesn’t allow you to warm up and at this point it’s a case of finish soon or you can find yourself in big trouble. In all the experience makes you feel as if you have been to war, locked in a freezer or at least dragged through a bush backwards once you cross the line (if you make it that far). Being a quicker runner means I get an easier time of it, the pits haven’t been churned up yet and I don’t get stuck in queues but I do have the annoying job of breaking what ice there is. Although this year the ice was very thin and only on the shallower water it felt raiser sharp and wasn’t pleasant against my shins. I would take this over being stuck on the course for 6 hours though and truly believe the slower competitors are far ‘tougher’ than I. Before we began there was some discussion as to whether we were going to be ‘racing’. Of course, we would try to go quickly but talking to James Appleton at the start I wasn’t sure if it would be a better send of for Tough Guy if we all went around together. Still unsure as the cannon fired the initial pace soon decided for us, that and a German guy that streaked into the lead with what must have been a 2.55 first km. Well that was it I thought, the race was on. I got alongside him by the time we came to the hill repeats. It was clear he could run on the flat and pretty serious about the race so I figured I would try to put some time into him on the hills. This worked out well and I built over a minute lead. We were now onto some more flat(ish) running with a few hurdles, nets and shallow ponds before the woods that had much of the same. My lead was growing but not by much, I had maybe 2 minutes now. A slalom going in and out of a knee deep ditch signalled the running was coming to an end and things were about to get real. I had been warm up to this point but could feel things may change soon. The water felt bitterly cold and even though the air temperature had now reached something like 5 degrees Celsius the cold weather of the weeks before would be felt through the water. I definitely wasn’t looking forward to putting my head in it! The killing fields were a 40 minute slog for just 4km of distance but slowly I made my way through. 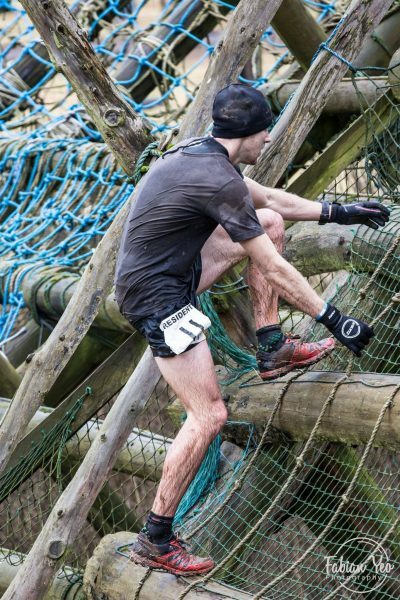 Not so much thinking about the race, just trying to get through and finish I completed each obstacle as I went. 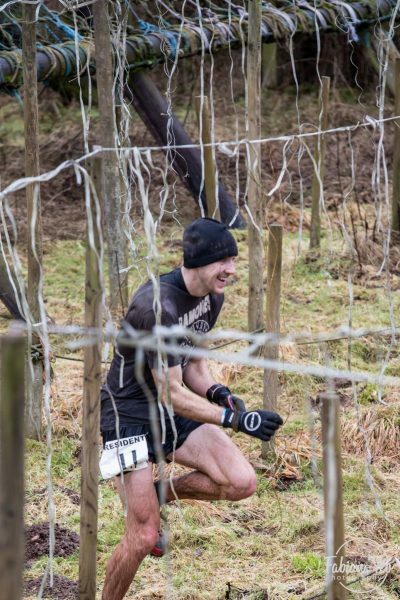 As time went on I noticed my movements were a little clumsier and my response to encouragement from spectators a little less enthusiastic…I was getting cold. I was thinking that the end had better come soon when I scaled the final nets and hit the last hill and pond before the finish line. That was it, the 30th and last Tough Guy event to be held and I had crossed the line mainly in one piece, I’d call that a good day at the office! James streaked through the killing fields to take second but celebrations weren’t immediate, it was now time to sort ourselves out, don our Dryrobes and try to warm up. Special thanks for the photos from Fabian Yeo Photography. Thanks for all of the race blogs great reading! Hopefully see you for 30 seconds at the start of a race some day haha !